It’s football season! Have I mentioned that we are huge fans? Whether you’re tailgating at the game or hosting a football party in your home, food is an essential part of the celebration. 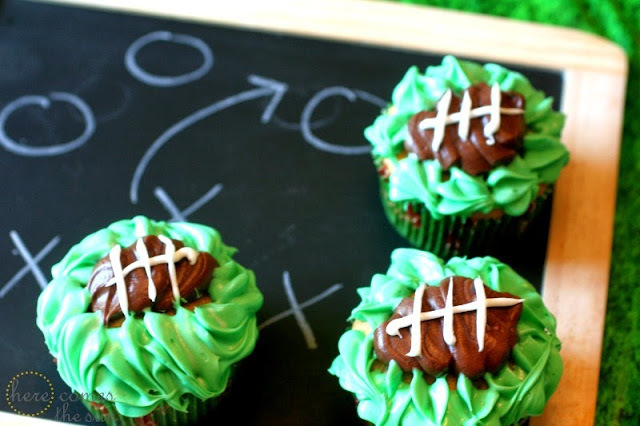 These football cupcakes will surely score points with your guests. I made these for my husband’s birthday this past week and they were devoured almost instantly. I even got a “Wow mommy. You’re the best cupcake decorator ever!” Even if you have never piped icing onto a cupcake before, you can do this. I used white and chocolate store bought icing and tinted half of the white icing with green food coloring. I piped the footballs on first by placing the icing in a ziploc bag with the corner snipped off. I used a small Wilton tip for the laces and a Wilton star tip for the grass. Super easy and super fun. 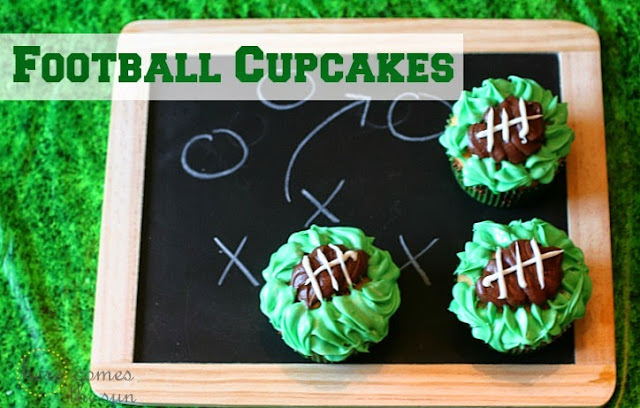 What types of treats do you make for football season? These are adorable too!! 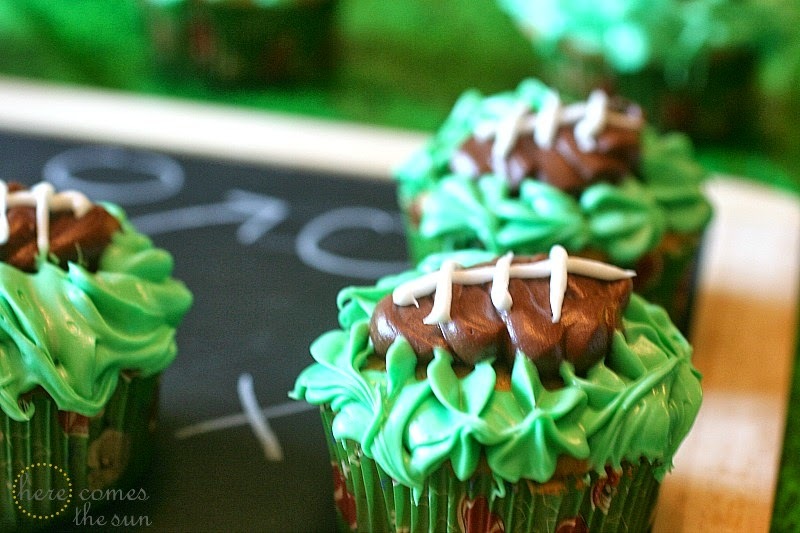 =) Perfect for a football party!